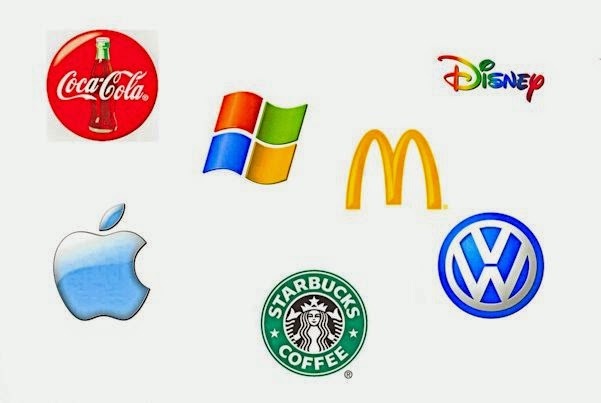 The protection against trademark infringement is very narrow: it does not apply unless there is a likelihood of consumer confusion. In other words, trademark infringement occurs only when consumers are likely to think that the trademark owner originated, sponsored, or approved the allegedly infringing product—e.g., your book. The most direct type of infringement is passing off. This is when a counterfeiter makes a similar product and tries to “pass it off” as the original. Mentioning a product by name in your manuscript is not passing off. The references will not confuse consumers about the origin of the product, and readers do not assume that the trademark owner has sponsored the book or endorsed the use of its trademark simply because the manuscript includes it. You can’t, however, imply a connection that doesn’t exist. If you say “Starbucks sponsored my book” intending that people believe the statement, it had better be true. That doesn’t, of course, prohibit rhetorical uses, such as the irony in the title to this post. But if people are likely to believe it, you had better include a disclaimer. So here is mine: Starbucks did not produce, sponsor, or endorse this post or any book, article, story, or poem I have ever written. In 99.9% of manuscript references, however, the use of a trademark merely identifies the product and does not suggest sponsorship or endorsement. No reasonable consumer would be confused. And I’ll use a few more paragraphs next month when I explain why the same “no” answer applies to reverse passing off. * Fan fiction also raises copyright issues, however, and they can’t be resolved with a disclaimer. Perhaps you are one of the Ernest Hemingways of the writing world—an author whose lean, perfect prose moves over a page like a dancer in a sleek black dress. 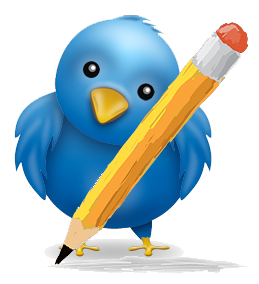 Your writing rarely has to go on a diet—it works beautifully as you’ve written it. No more. No less. Agents love it. Editors love it. The reading public loves it, because you have supplied spare, artistically written stories that satisfy, yet don’t leave them feeling stuffy and overfed. Then there are the Charles Dickens writers who love words, love them all and use them all any way they can. Dickens, for example, wrote four paragraphs at the beginning of A Christmas Carol simply to establish that Jacob Marley, Ebenezer Scrooge’s partner, was deceased. He included a 79-word side discussion as to whether a door nail is deader than a coffin nail. I have always savored reading such paragraphs. And I love writing them. I love feeling overfed! However, the last time I attempted to slip something like that past my crit partner, she sent me to a literary fat farm, where they took away all the heavy tangents that marble my writing. But that’s not all. They also denied me my favorite fluffy adjectives, claiming they smothered my nouns. The sugary ly adverbs also stole the impact of my action. “Nooooh! Not my thats!” I shrieked (see, I can use an action verb when I want to). She says she’s trying to keep me from killing my readers. She’s killing my manuscript—not to mention, me. My poor book and I will starve to death. How about you? Have you ever been sent to a prose fat farm? For my short novel, Love So Amazing, the first book in my new Wondrous Love Series which released in early March, the “germ” of the idea was planted when I attended my first American Christian Fiction Writers conference in Indianapolis in September 2010. My roommates and I were staying at the Hilton, a few blocks from the Hyatt Regency, the location of the conference. Both the Hyatt and the Hilton are mentioned in the book. However, it was the experience of taking a pedicab ride from the Hyatt back to the Hilton after the banquet (heels, evening gown, late at night) that gave me the idea of one day writing about a hero who owned and operated a pedicab business. That’s certainly an occupation I’d never seen before in a Christian romance! The pedicab operator that night (who happened to also be the owner was fascinating, relayed some interesting facts, and gave me his card). Little could he know he’d inspired a book four-and-a-half years later! What better setting for this story than the very city where the inspiration struck? What’s interesting is that this story idea remained firmly in the back of my mind since that time. At one point, I was working on an anthology proposal with two other authors and wanted to use this idea, but it didn’t work out (Lord’s plan, I believe). It wasn’t until my husband and I traveled to San Juan, Puerto Rico, this past January that I began to write Love So Amazing. I was determined not to write and didn’t take my laptop. All I had was a small composition book, but in that book, I began to scribble down all my ideas—while sitting at the beach and around the pool. I suppose it’s true that authors never stop writing, eh? By the time I left Puerto Rico, the story was taking shape nicely. And even though I was on a deadline for another book, when I returned home, this story and its characters would not let go! 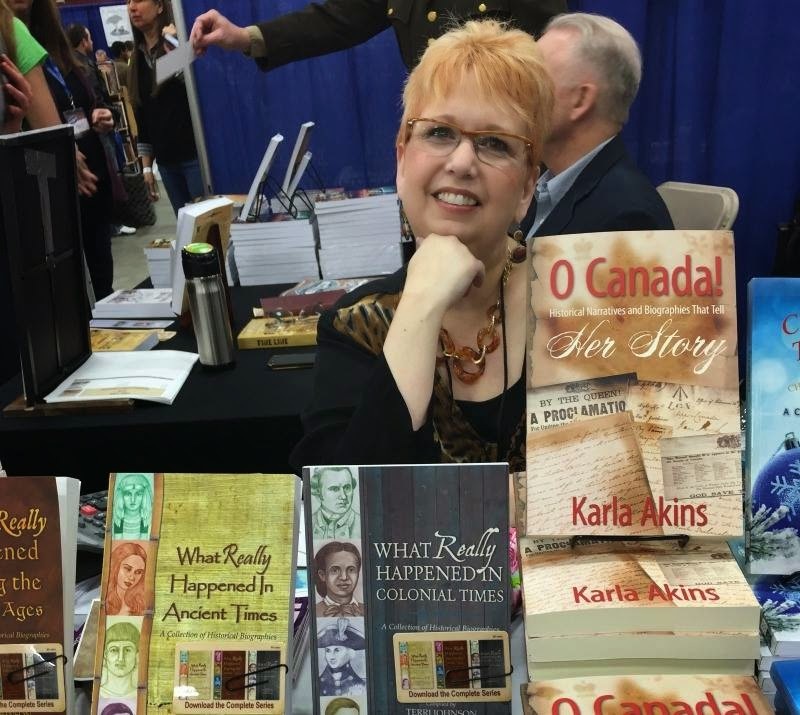 They “demanded” that I write their story first! And so, the book was written, edited, and released on Amazon on March 5, 2015, and it’s proven to be one of my all-time top-selling books, I’m blessed to say. Dance instructor Ava Carlisle lost her fiancé in a tragic car accident. Pedicab owner/operator Sawyer Mancini understands her pain all too well. Ava and Sawyer aren’t looking for love when they meet outside an Indianapolis hotel. Drawn to one another, these two lonely souls discover they share much in common during a six-block trip when Sawyer pedals Ava home to her downtown apartment building. When they unexpectedly meet a second time, both interpret it as freedom from the chains of past heartache and the Lord’s blessing to pursue a relationship. Although they intend to go slow, Ava and Sawyer tumble headfirst into the kind of love that only happens once in a lifetime. A few months later, Sawyer uncovers a shocking revelation. He and Ava share an unfathomable bond they never could have imagined, and one that threatens their love. Is it a cruel twist of fate or could it somehow be God’s perfect plan for their lives? “In Galatians 5:13, it says, ‘For you were called to freedom, brethren; only do not turn your freedom into an opportunity for the flesh, but through love serve one another.’ I guess that’s what I’d like most to tell you all tonight. You can win the ballgame, you can score the prettiest girl in school, you can pump yourself up with awards and compliments telling you how great you are, you can drink or smoke something that you think will make you feel good. “I’ve been there, and I’ll admit that for a while, it felt good to stand on the mountaintop. But that high only lasts a short time. I can stand here and tell you how it’s a mistake, I can try to beat it into your heads that it’s not the way to find success or happiness or love. But will you listen? No, you’re going to live your own lives and make your own mistakes. “If nothing else, please remember this: God’s love is amazing. That word is bandied about so much these days to the point where it’s been cheapened. A friend once told me that the word she heard the most on one of those sleazy reality TV shows was that very word—amazing. For the most part, it was used to describe the physical beauty of a woman. I’m sure you know the show I’m talking about here. A handsome young guy meets a parade of beautiful women, one woman more gorgeous than the next. They gallivant around on a beautiful island, in a gorgeous mansion by the ocean, and the alcohol flows freely. The guy sleeps with most of the women and then makes the choice for his so-called ‘perfect’ mate. Love So Amazing is available on Amazon and is still available at the low introductory price of only 99 cents, and it is also free for Kindle Unlimited readers! In addition to Love So Amazing, JoAnn Durgin is the author of the beloved contemporary Christian romance series, The Lewis Legacy Series: Awakening, Second Time Around, Twin Hearts, Daydreams, and Moonbeams, as well as Prelude, Prequel to The Lewis Legacy Series. JoAnn is also the author of the bestselling Catching Serenity as well as novellas and short novels including Echoes of Edinburgh and the popular Starlight Christmas Series: Meet Me Under the Mistletoe, Starlight, Star Bright and Sleigh Ride Together with You. But Arthur Conan Doyle introduced the most popular detective to the world. Every classic cartoon has done an episode where someone is Sherlock Holmes and Watson. It is funny to think about how popular Sherlock Holmes is today while Arthur Conan Doyle did not want to be famous for writing the detective. He wanted his other work to be more widely read and known. I bet you didn’t know he wrote a couple others works of writing, did you? He did. They weren’t as well-written, I promise you that. Everyone in England swears by him and loves him, even though Arthur Conan Doyle is from Scotland, not England. I was introduced to Sherlock Holmes when I was in college. To escape the boring story of The Great Gatsby by F. Scott Fitzgerald during a literary theory class to complete my undergraduate studies in English, I devoured The Complete Sherlock Holmes. It was more my taste. Adventure. Mystery. Non-stop action. I still return to Sherlock Holmes once a year when I read my favorite books. I watched and loved the latest Sherlock Holmes movies featuring Robert Downey Jr. and Jude Law. 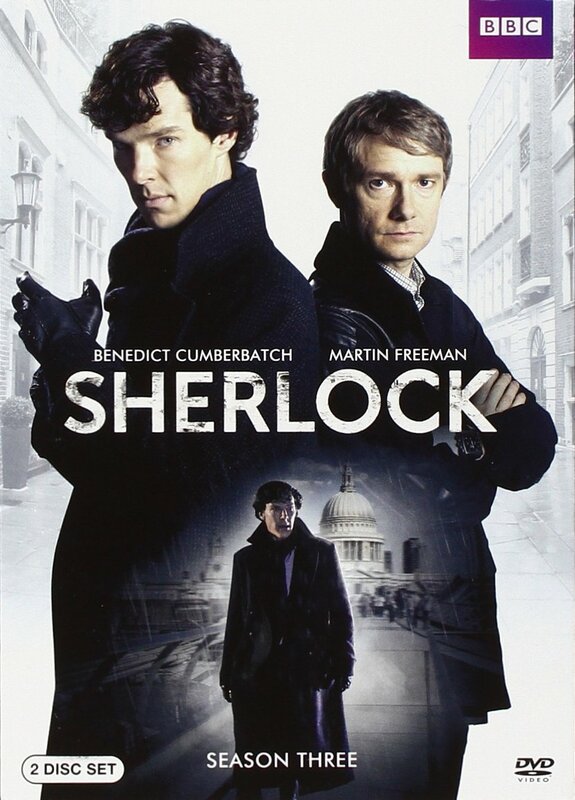 I’m fascinated by the great storytelling of the BBC Sherlock produced by Mark Gatiss. He has done a great job capturing the essence of Sherlock in the twenty-first century with text messages and similar technology like Watson keeping a blog to record his adventures. Arthur Conan Doyle taught me that adventure is important to a great story that captures the readers’ attention for generations to come. A great story can surpass the changing time and move into the classics if the story is well-written. Doyle gave the world a gift of a classic detective named Sherlock Holmes who helped cement my love of Adventure, mystery, thrillers, and suspense in books and movies. Because of this, I’m not the type of girl who likes sappy, romance books or movies. Give me an action packed movie or book, and I’m there. Any though most people have heard of Sherlock Holmes, have you, personally, sat down and read his books? What was your idea of a great book? Romance. Adventure. Fantasy. Mystery. Classics. Why? 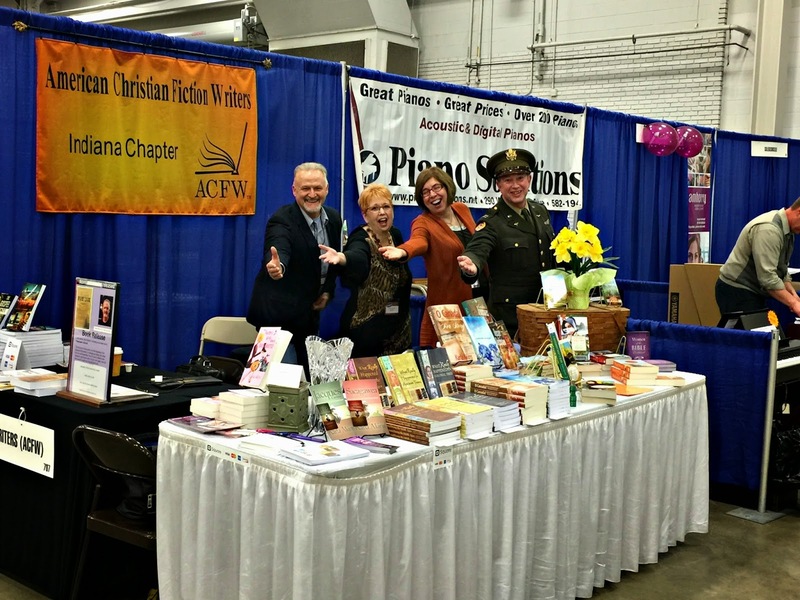 I recently had the privilege of signing and selling books for two days with three other Hoosier writers and members of ACFW: Rick Barry, Rachael Phillips and Jerry Slauter. I came to a satisfying conclusion. You have to be a little loopy to be a writer. Either that, or loopy people become writers. And yet, I never feel as good in my skin as I do when I'm hanging out with other people who hear voices in their head. I breathe a sigh of relief and say to myself, "So it's not just me that feels this way!" That's what makes an organization like ACFW so valuable. It fuels and inspires me to carry on. I'm not crazy. Other writers are "different" just like me. Okay, odd. We're just plain odd. Admittedly, I'm odder than most. Okay, fine. They probably aren't odd at all, and are just being nice to me because they recognize they're dealing with one peculiar human and are scared. "Walk lightly with this one, folks. Her elevator doesn't only not go to the top, it doesn't even have a pully." Still, it was a great privilege to share my table with Rachael Phillips. I bought several of her books and read one of them while we waited at the table. If you liked Nancy Drew mysteries as a kid, you'll love Rachael's grown-up mysteries. Want to meet these fascinating people? 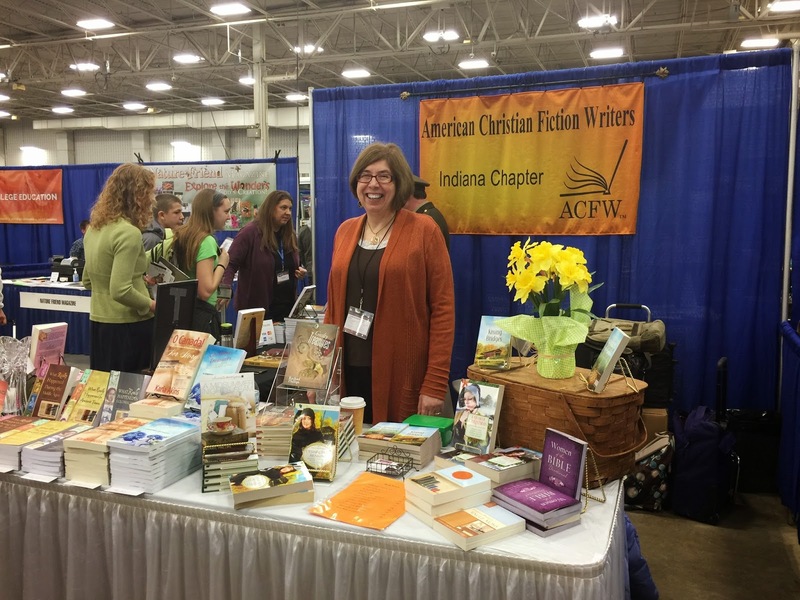 Join the ACFW-Indiana Chapter at their next event. 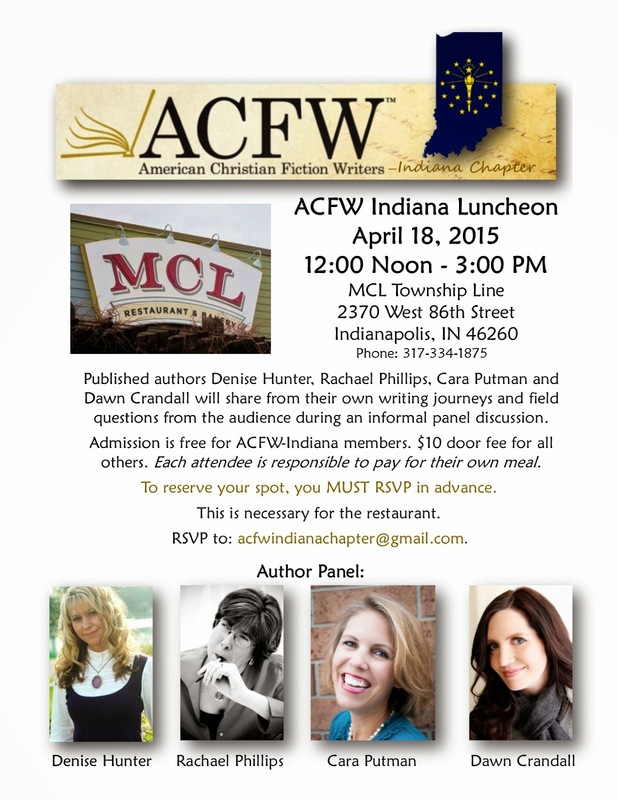 You can download the .pdf flyer here: Join ACFW Indiana in April to Learn from Experienced Authors! Or click on the picture below to enlarge and print it. 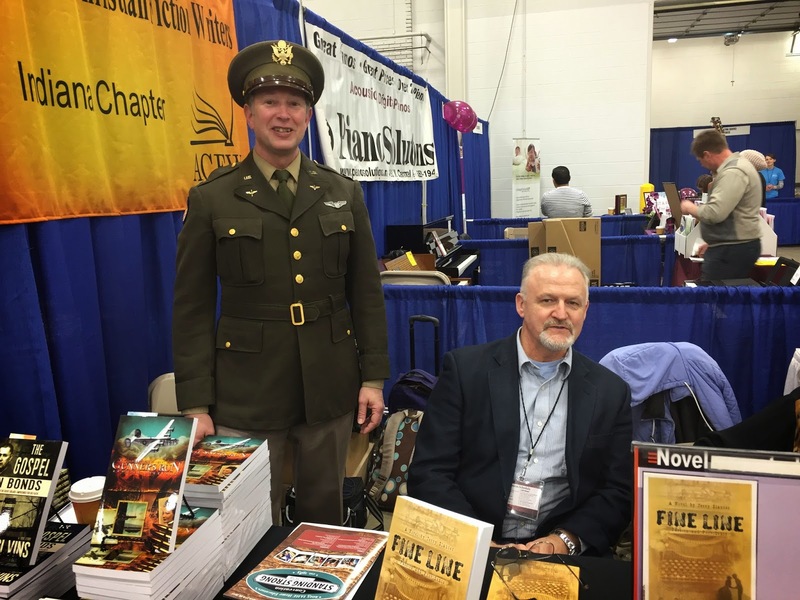 Do you like hanging out with other authors like I do? Why or why not? Leave me a comment and I'll enter you in a drawing for an autographed copy of my novel, The Pastor's Wife Wears Biker Boots! Once you read it, you're sure to understand how my elevator works. Or not. Tweet this: I love hanging out with people who hear voices in their head! "He Is in the Pain"
Dan Wakefield is a Hoosier native who became a leading writer in New York's "beat" scene of Greenwich Village in the 1950s, then went to Hollywood to seek his fortune in network television, where he fell into alcoholism and sexual promiscuity. His closest relationships unraveled and he found himself a wayward, lonely vagabond until he "happened" to visit a Christmas Eve service at a Unitarian Church in Boston. There he became aware that God was with him--in fact, God had always been with him--and God was ready to restore his life to wholeness. For me the light is Christ, and it is not just a light as in "sweetness and light" but an illumination of pain as well, and a force for understanding and bearing it. When I went to our minister once at a time of particular anguish I asked him suddenly, with a challenge, "Where is Christ in all this?" and he answered without hesitation, "He is in the pain." I learned that resurrection is not just the "happy ending" that follows crucifixion but, as our minister put it, those events are "two aspects of the same reality, even as Easter and Good Friday are the same reality" (Return, 249). Reflect on the times of anguish and sorrow in your own life, and ask yourself where Jesus Christ was during those times--totally absent, observing your pain from a distance, or part of the pain itself? We need to understand His role in our pain, not only for our personal spiritual growth, but for the sake of realism in our writing as well. Where do your characters see Jesus Christ in their times of deepest pain? What do they learn about Him in their suffering? Do you avoid writing about your characters' experience of pain because you are baffled by its purpose in your own life? On this Holy Saturday, I invite you to find Jesus in your pain. He took our sufferings upon himself yesterday, but we still experience suffering, don't we? So do the people we write about. 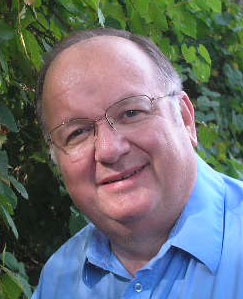 If our writing is to be true to life, we must be able to answer Dan Wakefield's question: "Where is Christ in all this?"